… speechless?! … NO! i have a thousand words to say but i´ll just leave a few … You guys were amazing tonight!! 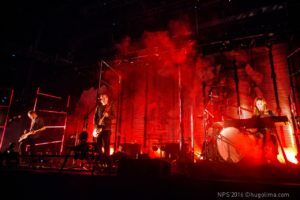 4th time i see you live and i was afraid to see just the three of you up in the stage, how wrong i was … you displayed the best Sigur Ros ever! you connected to the crowd and you seem to enjoy yourselves a lot and i was quite happy to see that. Love you guys since 98, your music change lives … keep doing your magic! I have loved the show. And that’s the right word, a show. 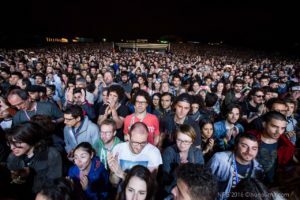 It is not only of good music a good musical act is about: It’s about the ambience, the atmosphere, the art direction, the décor, and everything else. Everything was great, but during Vaka (Untitled), everything was just majestic, beautiful, memorable. I won’t forget your show, but especially that song. Hope to see you again soon! What a magical show! I still can’t find the right words to describe it! You were absolutely stunning and sublime! Can’t wait to meet you again! The most magical performance I ever saw alive. Everything was perfect. The lightshow was breathtaking and it went so well with all the songs of Sigur Rós. And they totally smashed it, they performed so incredibly. They were full of emotion and the audience couldn’t escape to feel all those feelings. My heart is happy after this, couldn’t have asked for a better concert. 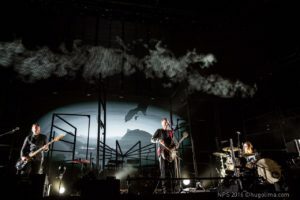 My 4th concert from Sigur Rós and one of my favourites, always surpring with new estetics on stage, and no one could tell that you were only 3 elements on stage. Marvelous! 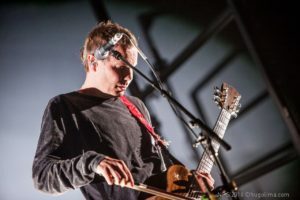 I was last night in the Porto Show, sorry, but was the third time i saw Sigur Rós, and it was the worst!! No doubt about that! The music whithout the piano lost is sweet side, is romantic side, the silent side…you know what i mean!! Last time in Porto Coliseu, there were 8 or 9 musicians in stage…yesterday 3!!! It was the first time I watch you live, and I’m so grateful. I normally listen to your music with headphones, when I’m alone walking trough the city surrounded by strangers, while traveling and at the airports, while working at cafes, and it feels always like magic moments where I connect with all around me in a deep way, although only I am listening… Last night the experience was so incredibly amazing because for the first time everyone around me were listening to the same “music” and I felt this deep connection with the band and with everyone in the crowd. So magic! I am deeply grateful for this experience and I hope I can see you again live! I would love to hear you play Hoppípolla <3 Thank you! I loved your performance yesterday. The graphics really enhance the ambience. Great setlist. Eventually a song from Valtari would also be nice. 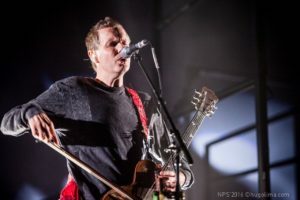 The sound in the front of the stage was not so nice, sometimes it was very difficult to hear Jónsi voice and guitar, but it was not your fault for sure. Great concert!!! I’m still in sideral space!!! I’m your fan since VON and you always reinvented your music. With ten elements or three you are always fantastic. You’re a special group band! from a special place on Earth! You play hypnotic melodies, sounds, music! You do magical concerts! With electric vibes! Yesterday, I was there.. I felt blessed and thankful! It was like levitating, like listening to gods. I’m pretty sure they sent you here, actually. Thank you for those moments of pure magic. Not only good music, but a good environment and a good stage energy and decoration. Please come back. Brilliant! In crescendo! Absolutely overwhelmed by the show! Crushed! An unique cathartic moment in time! 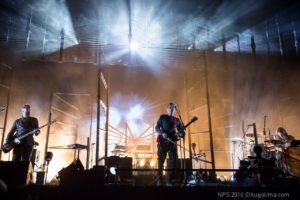 And there we were mesmerized, mind-blown, in a trance state of ethereal sound and visual that the original Sigur Rós trio blasted us for an hour and a half. If heaven exists this must by the passage there. Themes were so much more powerfull played live then engineered in the studio albums, and with the visual 3D effects it was pure magic. One empty heart filled with love again. THE AMBIENCE, THE LIGHTS, THE LOW KEYS FROM THE CELLO/GUITAR AND THE HIGHER NOTES FROM THAT ANGEL VOICE. REALLY REALLY LOVE IT, I WILL FOLLOW THEM ON TOUR TO SEE THEM AGAIN! A MAGICAL EXPERIENCE! I cannot count how many of your concerts I attended . You are always great and it’s always a pleasure to be there with you, but I can’t say it was one of the best one. Your music (who I love so so much!) is really affected by the sound’s quality. 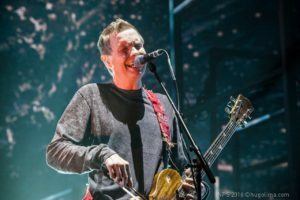 Jonsi’s voice was covered by other sounds and it would need to be definitely the starring! I cried seeing you after waiting for 3 years, because of you guys, but only 3 elements on stage makes the show something less than usual. I dare to say that because having saw you so many times I think to know what I am talking about..see you in London!!! Spectacular your show, Sigur Rós Thank you. Magnifico, loved the whole concert, wonderful voice, light spectacle and excellent image. Songs that enchants the heart. Angel’s music, undoubtly. In the unique voice of Jónsi. A moment of absolute share, in a scenic and musical alignment that transported me to another dimension. The unique sound of Sigur, which I am a fan from the first album, joining the sweetness of the wild beat with the taste of the sea. I hope to see them again very soon, turning the concert in Porto on the 9th of June, in a memory forever and ever. Music and poetry be with you, always. 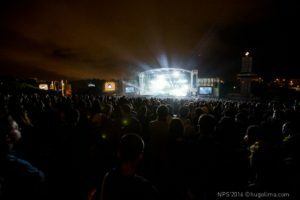 You were GREAT at Primavera Sound Festival in Porto!!! I hear you since I saw the movie Ondine and I said one day I would go to Iceland. This was the first time I saw you live, it was amasing and it got me anxius to visit your country more then ever. Tanks for the inspiring sharing!!! It has been more than 10 years since the last time I saw Sigur Rós. The band is more mature and the show gains a lot from that. Great lineup, amazing scenario and visual effects. The music? 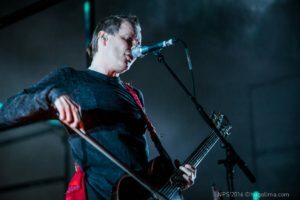 It’s Sigur Rós, so nothing less than perfection. It was a great night, it could have lasted forever. One of the best concerts i’ve been present! Once again, you were amazing! Loved the really cool animations, screens and stage. Although i miss Kjartan (and Hoppipolla! ), it still felt beautiful, epic, magical and unique. The new song looks promising and Vaka was just stunning! It was a great concert, but after seeing you 8 times I have to say that far from the best. This may be great for a small venue but for a music festival I was really missing strings and cords, songs looked too empty with just 3 people in stage. I understand you are just 3 now but if when recording on studio you have more people we expect something similar when watching you live. Anyway I enjoyed it even if disappointed. I’m just going to copy what I wrote in the comments of your Barcelona show because it was basically the same thing; also an extremely moving moment for me. It was pure awe, it reached both my heart and soul and filled them up with that beautiful music! Sound. 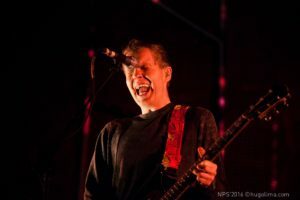 The bow on Jonsi’s guitar does truly make up that surrounding wall of sound; its effect overwhelming and therefore there really isn’t the slightest basis for comparison with recorded sound. Volume was adequate. Being a three-piece this time didn’t hide any of the most bright carachteristics of the band’s sound (though previously I’ve only heard it on video, maybe in the cinema watching Inni was closest to the real thing); I can surely say from my perspective you managed to convert all material, both old and new, into a novel style. The visuals. Definitely the most astonishing audiovisual experience I’ve ever witnessed. Liked very much the sense of depth the stage conveyed, enveloping the band in a geometrical network of colourful lighting. Nice videos on the back screen. The new song. Brilliant atmosphere, I love the new electronic feeling you’re leading the band to and I celebrate the band’s flexibility to adapt to new courses. All in all, it was a million star show. Thank you for sharing it and I really hope you can take this one (or future ones) to Argentina and Chile, preferably playing not festivals but your own shows. There are many true fans there that would receive the band enthusiastically and would love to finally live that eagerly awaited moment, just as I did! Thank you so much for a marvelous and heartfelt performance in a stunning atmosphere at Porto. Þakka þér svo mikið fyrir stórkostlegu og hugheill frammistöðu í töfrandi andrúmsloft á Porto. Eargasm!!! I had the chance to watch you twice in this tour, one at Nos Primavera Sound and second one at Release Festival Athens! You are the reason i fell in love with post rock. No matter your strange “your” language sounds i can assure you that your music finds my bottom of my heart! Thanks for being alive and live. Big congrats!